I honestly didn’t know that people still play Pokémon Go, but I guess they do. Or at least one person does. 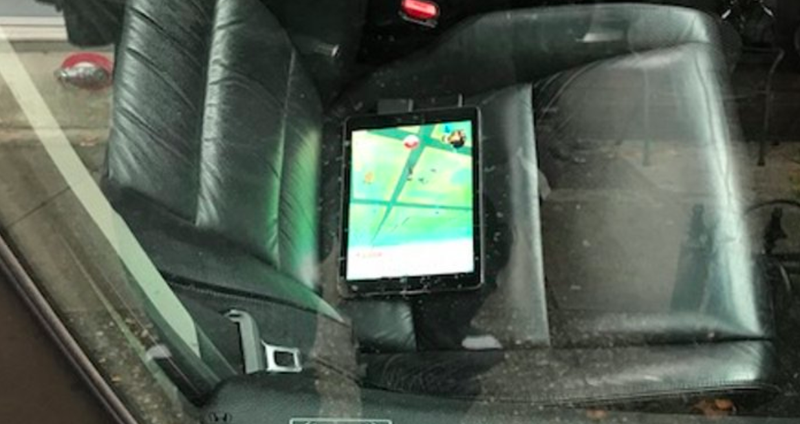 In Vancouver, Canada, police caught a man on Tuesday “playing while driving.” The driver apparently pulled up next to two officers as he was playing the once-popular mobile game. The police offered this photo to document the bad driving offense. That’s a very large screen to be playing Pokémon Go on while driving. Also, 368 Canadian dollars (about $288) seems like a lot of money, but, you know, I’m not Canadian, and they generally do things better up there. Anyway, Pokémon Go is very last year. Also please keep your eyes on the road or you might find yourself Pokémon Going to... nevermind. End blog. Porsche-chu 911, I Choose You!